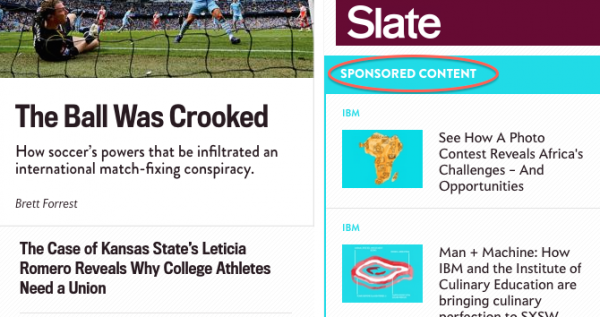 Native Ads and News Consumers: Can’t We All Just Get Along? According to a new study, the answer is likely “yes”. For those who believe the presence of native ads downplays a website’s credibility, the authors of a new study have something to say. Patrick Howe and Brady Teufel’s findings, featured in the International Symposium On Online Journalism’s journal might make the native ad-averse reconsider their stance—or at least take the conversation in a new direction. For their article, titled “Native Advertising and Digital Natives: The Effects of Age and Advertisement Format on News Website Credibility Judgments,” the designer and former journalist contacted two groups: university students ages 18 to 25 and the 45-and-up crowd—250 people in all—and gave everyone a ten-minute survey to gauge their demographics and the way they consume news. The two used BuzzFeed’s style as inspiration for a mock news homepage and injected both native and display ads—a more traditional approach to getting your brand in front of eyeballs—into the layout. Participants were asked to report how credible the page appeared and the reactions of the two age groups were compared. The younger group had a keener eye for spotting native advertising, attributed to how integral ads are to the daily lives of this demographic (thank you, social media). However, none of these factors changed the opinion held by both groups that the existence of native ads had no negative effect on a site’s credibility. While this study got the ball rolling, Howe and Teuful know their work isn’t done. One concern that remains unanswered is a reader’s ability to notice a brand at all if he or she misses the presence of a native ad. Beyond this, since a single site format was used, more studies will have to be conducted to get a broader sense of reader reactions to native adds. Finally, since study responses were overwhelmingly positive, there’s still room to gauge the reactions of news consumers who aren’t so keen on native advertising. For now, evidence points to a future of coexistence and that’s a finding we can get behind. In terms of understanding the impact of native advertising, Howe and Teufel’s study provides a much-needed shift in perspective. Until now, most researchers favored looking at the intersection of news and advertising from the vantage point of the advertiser—not so much that of the news consumers themselves. 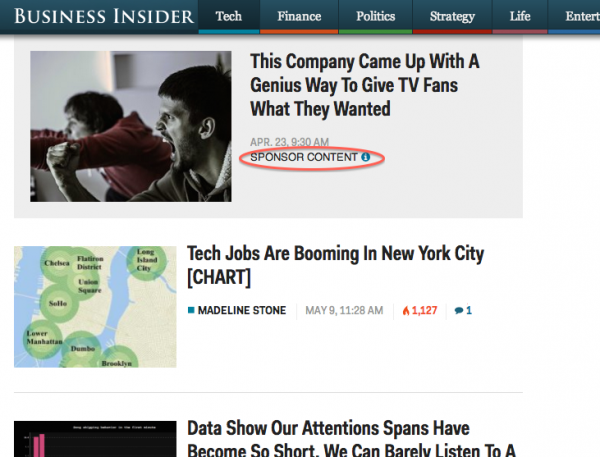 As we mentioned last month on the blog, defining how we quantify successful sponsored content is still a work in progress. But it’s great to hear that the brands themselves aren’t the only ones responding well to the trend. We’re filing this one under “stay tuned for more” and we can’t wait to see if additional research follows suit.